The Kolmani River-II Well which spud-in was flagged off last month by President Muhammadu Buhari is progressing satisfactorily, with drilling so far of 6,700 feet, Maikanti Baru, the group managing director of the Nigerian National Petroleum Corporation, NNPC, has said. A release on Wednesday, March 20 in Abuja by Ndu Ughamadu, the NNPC group general manager, Group Public Affairs, stated that Baru disclosed this while receiving an award presented to him by the Petroleum Technology Association of Nigeria, PETAN, executive for his landmark achievement in the development of Inland basins in the country, especially the drilling of the Kolmani River-II Well and his efforts in Deep Water operations. The release disclosed that Baru explained that the target was 14,200 feet, although the depth could be longer depending on findings, even as he explained to the visiting PETAN executive that Buhari should be commended on the progress being made on the drilling of the well. 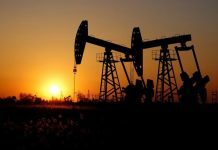 Prospecting for oil and gas in Kolmani River-II Well is one of the recent foray of the government into inland exploration in parts of the country. 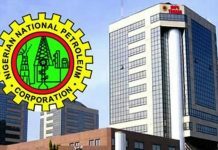 The release stated that the NNPC GMD also disclosed during the visit of the PETAN Executive that in furtherance of its African integration drive, the NNPC was considering extending the ongoing Ajaokuta-Kaduna – Kano, AKK, gas pipeline system across the Sahara to Algeria in North Africa. Baru who reaffirmed the Federal government’s plan to also extend the West African Gas Pipeline, WAGP, to Morocco, commended PETAN for its contribution to the development of the Nigerian Petroleum Industry. Speaking earlier, Bank Anthony Okoroafor, the chairman of PETAN, commended Baru for engineering transformation in every aspect of the Petroleum Industry since his assumption of office. He cited the resumption of exploration in the inland basins and the flag-off of Bonga South–west project which has been in the shelf for more than 10 years as fruits of the GMD’s visionary leadership and doggedness. The PETAN chairman stated that in recognition of Dr. Baru’s sterling performance and as a mark of appreciation to him, the association had decided to honour him with its “Visionary Leadership Award”. He said Baru would also officially open the Nigerian Pavilion at the forthcoming Offshore Technology Conference, OTC, and serve as keynote speaker on the theme: “Nigeria’s Deepwater: The Journey So Far” at the conference. He said the GMD would also serve as chairman of the technical session. The PETAN chairman explained that the association was committed to the realization of the nation’s 4million barrels per day production and 40billion barrels reserve targets, adding that with Baru’s commitment, the targets would be achieved.